New to Artificial Intelligence? Don't worry! Artificial Intelligence is easy to use but you need to decide which function you want to use. 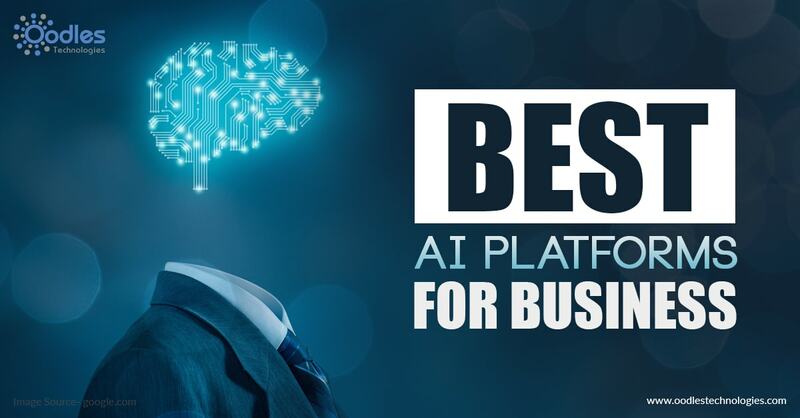 To grow your business it is always required to use AI platform. Some of the platforms require extensive technical knowledge while some can be used without any coding. It makes machine learning easy for business by providing cloud-based analytics. Azure Machine Learning makes its product easy-to-use and also easy for developers to make machine learning APIs in the cloud. The Microsoft Azure can be used by people having technical knowledge as it is a high end platform. Though it does not require huge setup. It provides drag and drop feature for easy use and create nice models. The main advantage of this platform is the ability to create APIs instantly. Google Proud Prediction offers RESTful API to build Machine learning models. This platform does not provide user friendly web interface. It adds several new features such as spam detection, sentiment analysis, and many more by analysing the large amount of data. Google Proud prediction API platform uses Python script. IBM Watson platform offers Artificial Intelligence for developing tools to create intelligent chatbots required for business. These tools are enough to transform and grow any business to new heights. Recently a new product is designed by IBM Watson to prevent all the cyberattacks. Apart from the plain text sources, the IBM Watson can easily convert audio or Voice input to plain text. Amazon Web Services (AWS) is used for delivering cloud-based services. The Amazon Web Service has been there from 10 years now and is used in businesses. It can be used by professional developers though they are not difficult to use. Amazon Machine learning does not have bulky subscription option. It provides predictions just by using APIs for your applications.